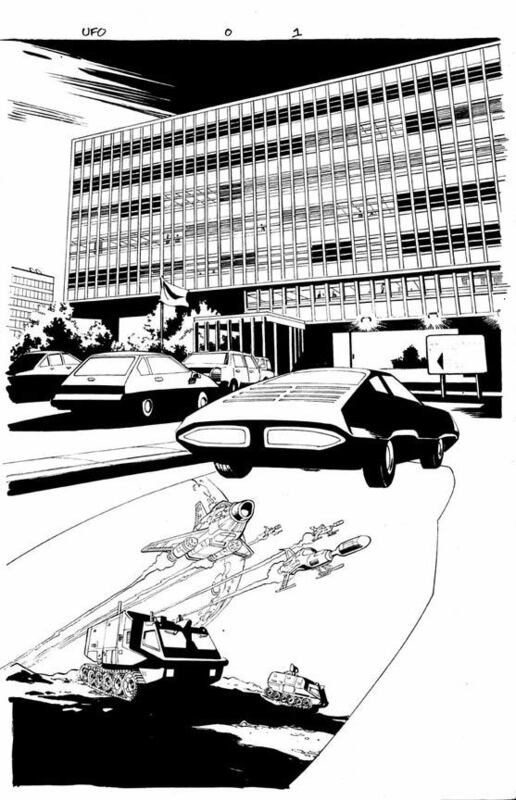 The UFO comic book isn''t available yet, but the original art from it is! These great art pages were pencilled by Christopher Jones and inked by the legendary Joe Rubenstein. The art is from UFO #0, the preview issue which is still unreleased. These pages are one of a kind, original works of art, never before offered to fans. Each page measures 11 inches by 17 inches and is signed by penciller Christopher Jones (Justice League Adventures, Batman Strikes). Don''t hesitate; these amazing art pages are one of a kind... you may not get a second chance to own one! Click "Pick a page" to order the page or pages you want. Art by Christopher Jones and Josef Rubenstein for the unreleased UFO comic book!